Anyone figured out where this rare is or how to summon it? Thanks in advance. As of 9/4/2017, no one seems to know where this guy can be found. Since this is one of the "Seer" type of demons, maybe he acts similarly to Xemirkol of Tanaan Jungle - he's watching all of us, and once he sees that someone has killed all the other rares he reveals himself as a final challenge? As I'm typing this, nobody has found out where he is. Mac'Aree only went live today, so I don't think anyone has gotten every other rare yet. It's also possible he won't be available until later content is released. His sound files have a "Invisiblity Impact" sound, maybe hes stealthed and has to be found. Probably just not added yet as a WQ or somthing though. 1. Is like the hidden rares from Antoran Wastes, gotta farm up a item and do a hidden attunement quest to unlock them or teleport to their locat1on. 2. He's going to be a rare who only spawns in the new dungeon (just like the old days of rares spawning in dungeons). 3. Only unlockable once you kill the other rares part of the achievement, maybe apart of a quest to acquire the achievement reward. 4. People are looking way too deep into this npc, and will turn out to be just a regular normal elite rare spawn who's spawn timer just hasn't occurred yet; kinda like Thanos who hasn't spawned yet so far, even though nothing is special about Thanos. edit- Thanos finally spawned after 4 days, so hopefully it's #4 and videx will spawn before the 1st week is over too. Also due to this, #3 turns out to be false, so now there are numerous individuals who have all the rares killed except Videx and nothing has unlocked (sorry to crush the hopes and dreams of the majority of people hoping it was this one). So this leaves only for the possibility of #1, 2, or 4.. However I am leaning more towards #2.. As this can explain why no one's found them even in PTR as a rare spawn in the new dungeon or raid can explain why no one's encountered them yet during the short time that the dungeon and raid bosses were being tested. My friend found this place (https://cdn.discordapp.com/attachments/342308190291099648/355334860413468673/unknown.png) dont you think it would be a perfect place to hide rare that works like Xemirkol? Maybe after we kill all rares and get reputations, new fly master's whistle will be able to teleport us there. Behind Vigilant Thanos' spawn point is a secret room that's behind that door/wall there which leads to under the Seat of the Triumvirate. It's just a hallway which leads into a single room.. Maybe somehow this door opens, maybe once you defeat the other rares or whatever and Soultender Videx can appear here? To bypass this door, kill yourself near the door and while you're a ghost you can walk through the door and respawn on the otherside. Well there is a guy who has killed it, but doesn't want to release coords yet since he wants to get world first. All I know is he said it requires a Demon Hunter in the group so has to do with Spectral Sight. I suspect this NPC will be a world quest NPC or special summon inside either Antorus raid or Seat of the Triumvirate dungeon. This may even be a special WQ like the Burning Shores quest where the Imp summons you through its portal. after near completing Commander of Argus , endless search ingame as on the internet. i contacted a GM asking about it being aviable to the public, the gm couldnt help me in details, but its highly likely its going to be part of week 3 of argus release. pretty much have to do the chapters first is my guess before this rare becomes accesable. Maybe he will just turn out to be like the rare spawns Champion Chomper and The Snowbringer from patch 7.0 where no one could find them, the rumor and speculation mills were going strong, Blizzard GMs insisted they were in the game and told us to keep looking when asked in tickets, Only for reality it turned out that they were not in-fact added to the game because Blizzard added way too many rares and lost track, and they were removed as part of the achievement in 7.1. Hopefully this doesn't turn out to be the case, but it wont surprise me considering Blizzard has done it before with 7.0 when they added a bunch of rares all at once. So can explain why there exist no screenshots, coordinates, related quest, not even in PTR, etc, just like the case with Champion Chomper and The Snowbringer. Lastly with Thanos spawning the other day and now multiple individuals having 100% of all other rares killed except Soultender Videx and nothing has unlocked for these individuals (so isn't like Xemirkol of Tanaan Jungle), leaves only the possibility that Soultender Videx will be a Dungeon/Raid rarespawn, or Blizzard forgot to add them to the game due to there being so many to keep track of. my assumption is that Videx is part of week 3. And probably spawns near shadowguard incursion, whereas the boss for the quest "no love is", located, on the upramp to seat of triumvirtae dungeon. The only templar location that's is empty and most suitable for spawn point. Lots of voids in the area which gives a hint of Videx location as well. So here's an interesting thing that may or may not be relevant to the Videx hunt: at the time of writing (week 2 of 7.3, before the third unlock) the Echo of Kil'jaeden can appear at 51.0, 16.8 in Mac'Aree, giving a speech about Sargeras in front of various named Draenei spirits (echoes). When you get to the area he's in, if he's present you'll see him shouting his speech. The interesting part? 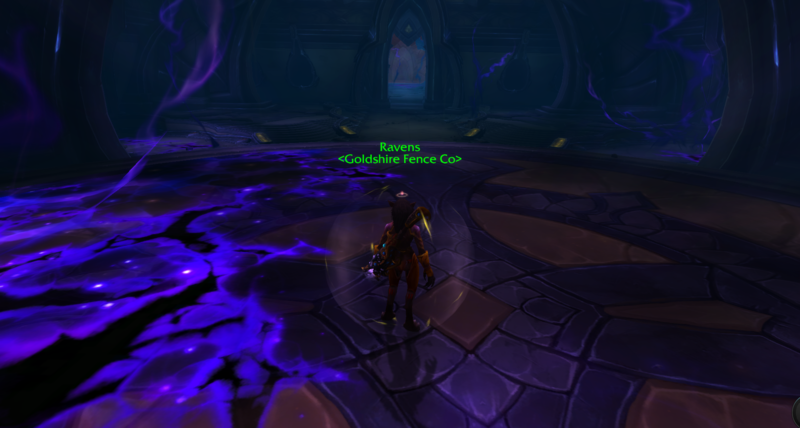 If you're a Protection Paladin with Truthguard equipped, standing in the front left of the crowd (facing Kil'jaeden) makes your shield glow with the "Truthseeker" proc - that is, it's apparently detecting a demon in the crowd of Draenei echoes. Thought it might be worth mentioning here, just in case it's relevant - it checks a few of the mentioned "potential" boxes (happens in an area with Draenei souls present, seems to detect a "hidden" demon, etc). its Monday today (9/11!) and i think ive discovered location of Videx! its a throne room behind a locked door, and i just passed it! its the door behind Thanos, at the Seat of the Triumvirate(top uper part of map, right at the middle) and i let one of them elite slimes kill me at the locked door. u have to take the left way of the castle(Seat of the Triumvirate) to get to the locked door behind Thanos, trough the Etheral camp. then i just ghost ran through it and found a hallway leading up to what looks like an void throne room! this surely must be the location of Videx. now, he wasnt there when i tried it, and spent 40 min w8ing for it, but now i know were to hopefully find him and look each time i get to Mac`Aree, and yes, hes my last rare, and yes, Videx might only appear on week 3 of 7.3. Might be a far fetch, but some guys have compared this rare to the one in Taanan jungle. Maybe its the Argus flight master whistle which you get at revered with the Argussian reach that has a malfunction where it brings you somewhere where this guy is. Guess we'll see on wednesday or whenever someone reaches revered with the reach. Maybe the Fel Heart of Argus is a way to find the Videx? All the other Vindicaar powers open something on Argus, not sure if the Fel Heart should too. I can confirm Soultender Videx does not show up when all rares are defeated. 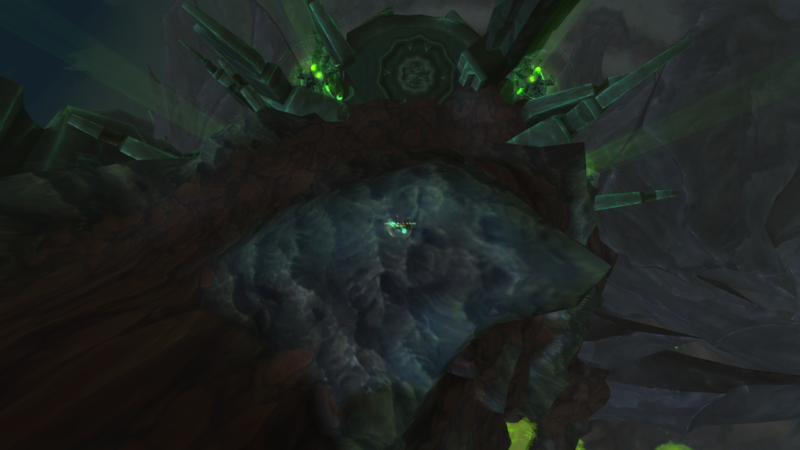 /rant, pretty sure this guy won't spawn until phase 3 of the argus unlock schedule. 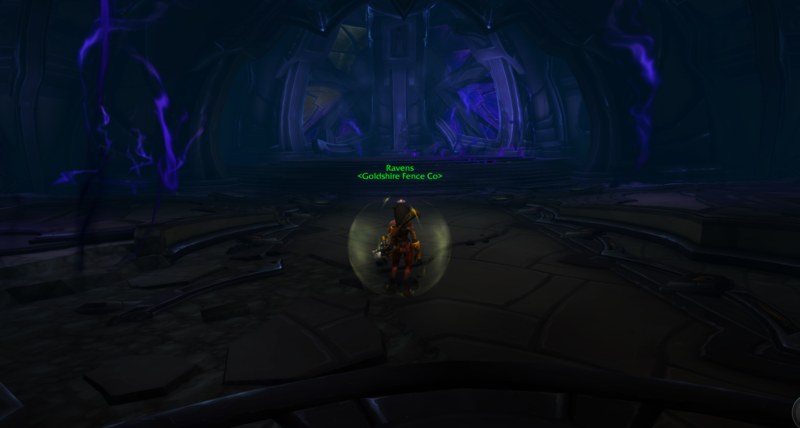 I've defeated all the other rare elites on argus and I've been running around all three zones searching every nook and cranny, no sign of him. also been using the Wormhole generator: Argus toy (which is similar to how you found Xemirkol in tanaan) but nothing. 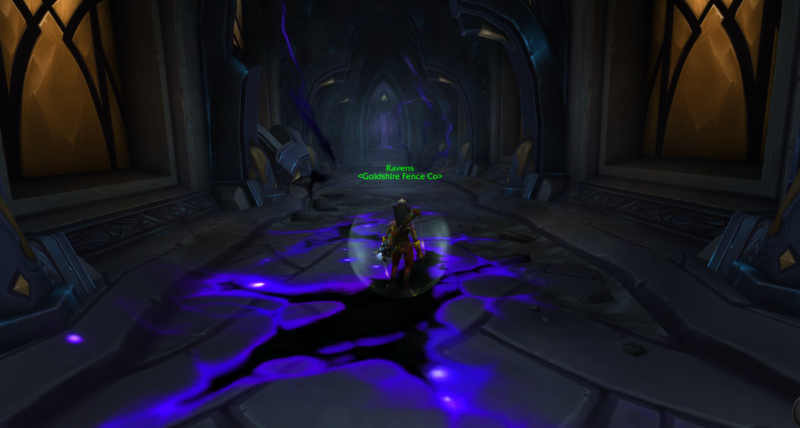 I also went on my shaman and used the Far Sight ability, with this you can look ANYWHERE on the map, underneath the map, unreachable locations, far behind invisible walls, and you can even look at the majority of the antorus, the burning throne raid, as it exists in an "outside" version in the west of Antoraan wastes (behind an invisible wall) nothing there either. so looks like this is a good old example of miscommunication (or rather lack of communication) between GM's, CM's and actual developers yet again, where it's believed that the content in question is in-game and available, but hasn't been added yet or is locked behind some time-gated mechanic. Trust me.. I was one of the people who wasted a couple of hundred hours looking for both pepe back in tanaan jungle/WoD (before he was added) and more recently hidden artifact apparences for both frost dks and arms warrs months before they were released.. this hits a bit too close to home, so in my personal opinion there's no point in looking for him right now, at least not until the rest of Argus questlines and world quests have been unlocked later this week. Once this is done, you'll get your achievement if you've completed the other criteria, but we can't grant it to you before then, unfortunately. So it seems we just have to wait for the hotfix to get our achievement. EDIT 2 The hotfix was implemented later that day and players can now correctly finish the achievement with all other rares killed. EDIT 3 Finally here's the link, in case anyone still wants to see the proof. Looks like a hotfix has gone in. Just got the acheive with 60 bosses named. So it seems like blizzard has removed him from the achievement's requirements with a live hotfix and i was able to receive the achievement by simply relogging! I can confirm that Soultender Videx is no longer a requirement for Commander of Argus achievement! I killed the last 2 Rares which I needed. I got the Archivment and the Transmog. They removed Videx from the Archivment. A moment of silence for Soultender Videx who could not even have its own first appearance in Shadow of Argus.